I don't think I'll ever be interesting enough to be in a book. But Uncle Ed was! I'm sure many of you local people have this book or have at least flipped through it a few times. 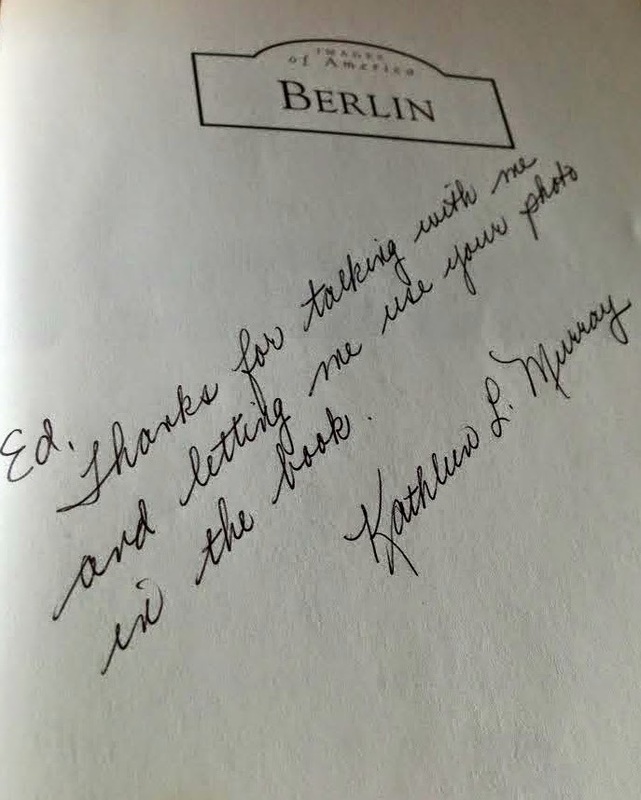 It's called "Images of America: Berlin" by Kathleen L. Murray. From the amazon description: "Individuals who appear include the Leatherman, a gentle person who traveled through Berlin in ages past, and the Goat Man, the personification of the kind neighbor." In case you can't read the caption, it says "Have you ever seen the bright red van labeled "Goat Farm"? or have you been to the goat barn at the Berlin Fair? 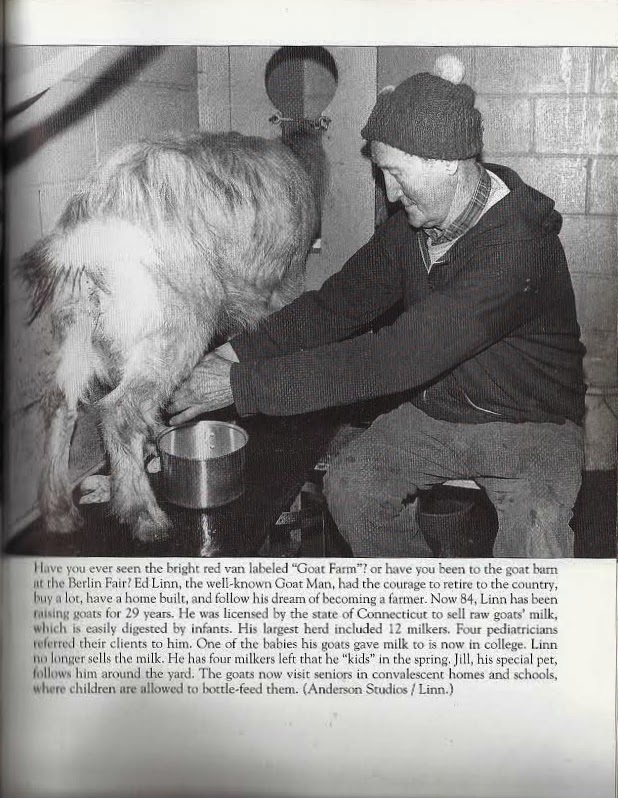 Ed Linn, the well-known Goat Man, had the courage to retire to the country, buy a lot, have a home built, and follow his dream of becoming a farmer. Now 84, Linn has been raising goats for 29 years. He was licensed by the state of Connecticut to sell raw goats' milk, which is easily digested by infants. His largest herd included 12 milkers. Four pediatricians referred their clients to him. One of the babies his goats gave milk to is now in college. Linn no longer sells the milk. He has four milkers left that he "kids" in the spring. Jill, his special pet follows him around the yard. The goats now visit seniors in convalescent homes and schools, where children are allowed to bottle-feed them (Anderson Studios/ Linn)." 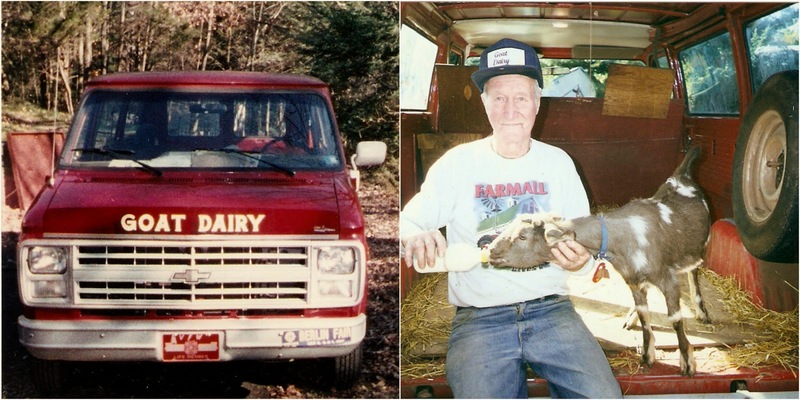 If you'd like to hear more about Uncle Ed, check out the "Farm History" page. Here's Uncle Ed with his van! In case anyone would like to read more of the book, check it out on amazon! A bunch of local stores in the Berlin area carry it as well.